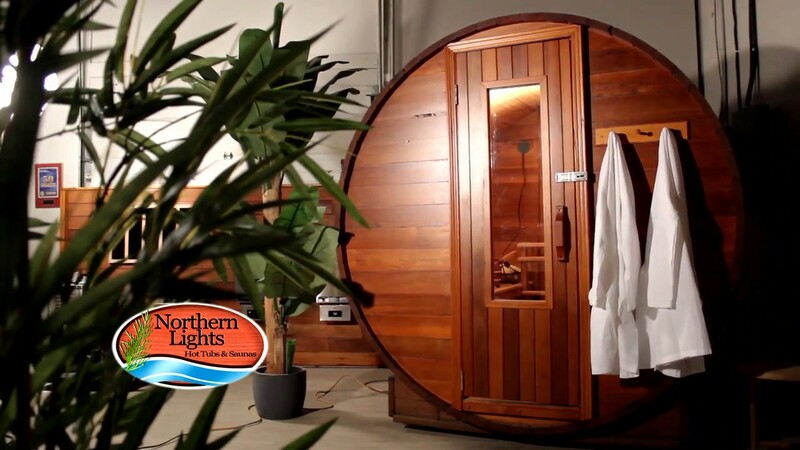 At Northern Lights we supply both outdoor barrel saunas and indoor sauna kits using the finest Canadian western red cedar. All our saunas are made using only clear Grade “A” cedar ensuring there are no knots that can lead to warping or produce sap. The sauna kits are designed for easy installation saving customers money and time. Most sauna room can be installed in less than a day with no special tools required. Our award winning barrel sauna are the flag ship of our company. The larger 7’ interior diameter gives these saunas more head room than our competitors. The quality in design and manufacturing is why we have been awarded the top Barrel Sauna Manufacture for the past 3 consecutive years. Our DIY sauna room packages allow you to quickly convert any space in your home to a sauna room. These sauna kits come with everything you will need to complete your project with minimal carpentry skills required. We offer a variety of heating methods including traditional electric sauna heaters as well as Infrared carbon fibre sauna heaters. For those customers that want both heating methods we offer our unique Hybrid sauna heating system that offer a combination of both a regular sauna heater as well as infrared heater. This gives one of the most powerful sauna heating systems available. For those that want to enjoy an outdoor sauna, we have powerful wood fired sauna heaters that are ideal for our barrel sauna. Wood fired sauna heaters provide much more heating power than a standard electric heater and there is no operational cost. No wiring is needed, making it an affordable way to enjoy a sauna. If you are looking for sauna accessories we have a great selection of quality sauna parts such as wood sauna buckets and special sauna timers and thermometers. One item that is very important for a sauna is a Hygrometer that is used to measure the humidity inside the sauna room. Combination Hygrometer and sauna thermometers allow sauna bathers to dial in the interior climate to match their comfort level. All our saunas use the finest components. We do not sacrifice quality and as such we offer a 5 year warranty on all our saunas rooms including our heater systems. 100% surgical stainless steel is used for our sauna heaters guaranteeing that they will not rust under any circumstances. Our sauna are shipped in compact modular kits so that we can cost effectively ship to any location in the world. If you are looking for a quality sauna room then please browse our site and feel free to contact us any time should you have any questions. Our family based business has been making saunas for over 25 years. We are sauna enthusiast that love to talk saunas! Go ahead and give us a call anytime 1 800 759 8990.